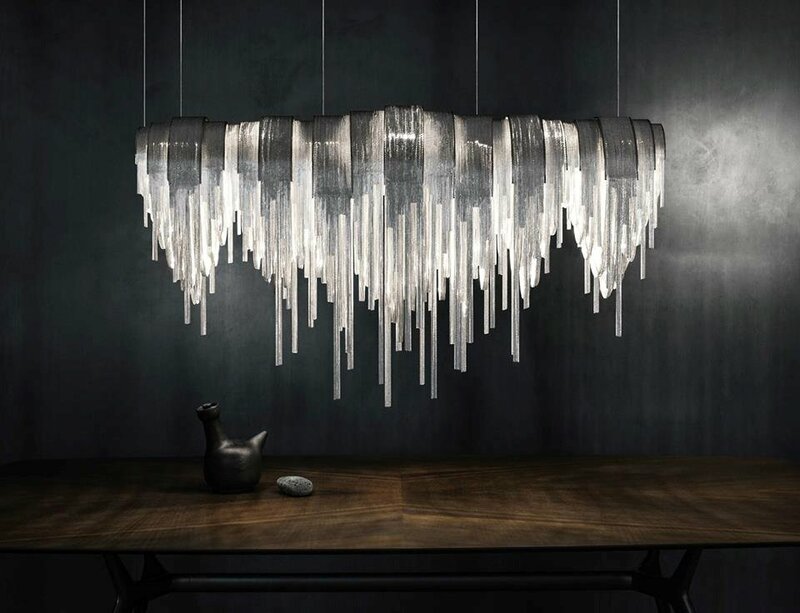 The Volver LED suspension light has been designed by Studio 14 for manufacturer Terzani. 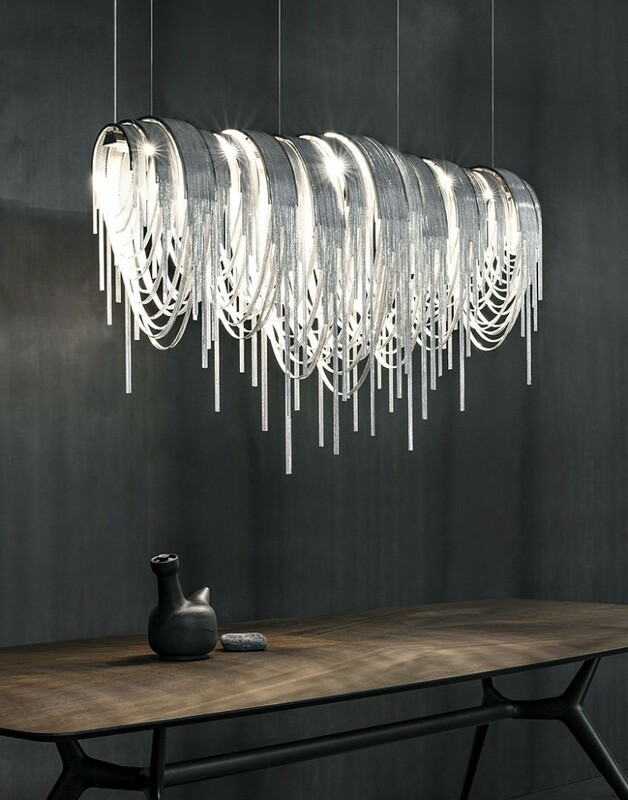 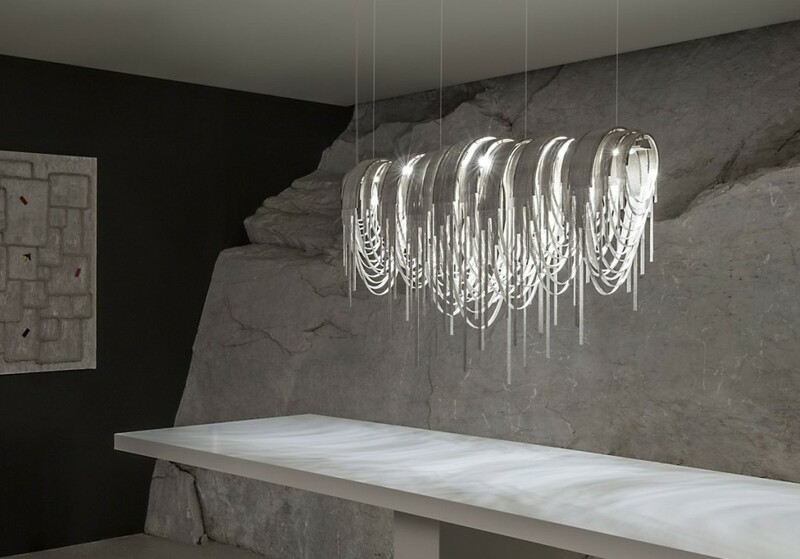 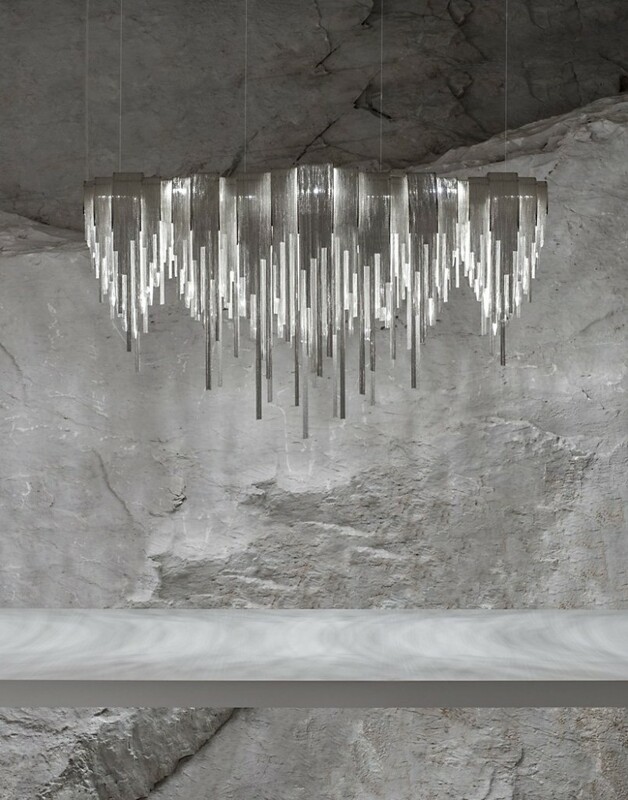 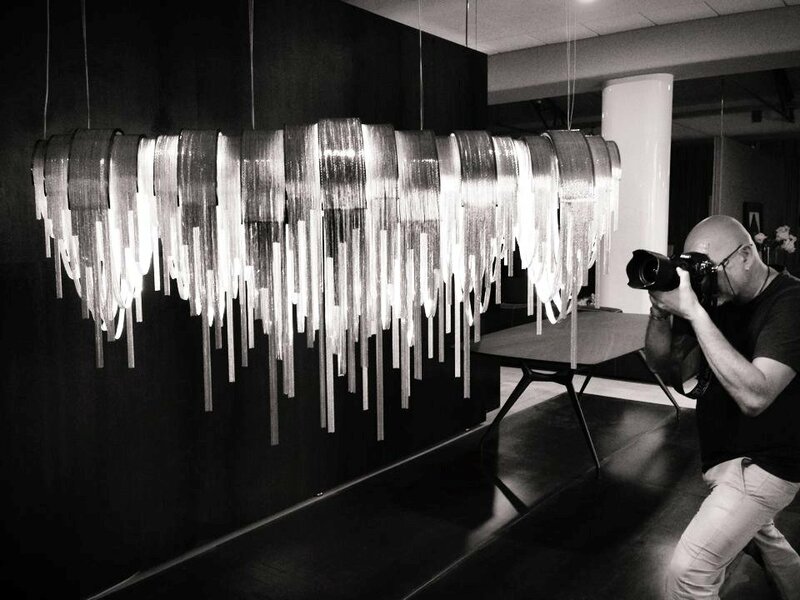 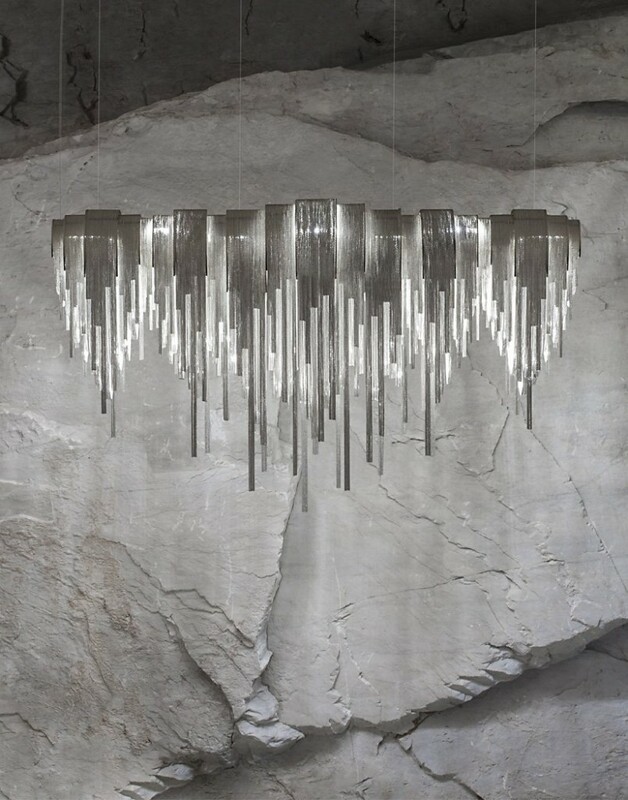 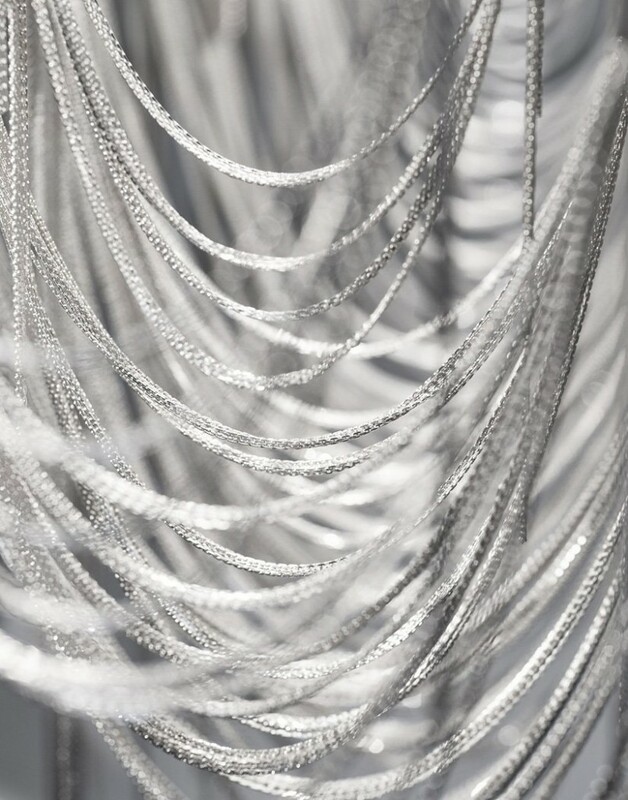 This luxurious LED suspension light is Terzani’s first, combining nickel chains with the latest LED technology. 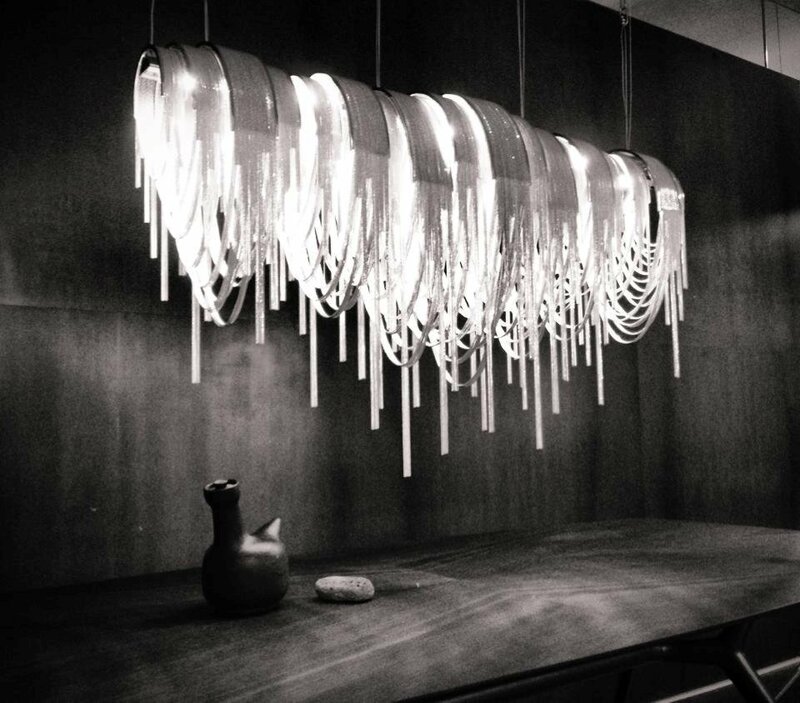 Designer Diego Bassetti and Architect Andrea Panzieri of Studio 14, protegés of Bruno Rainaldi, applied their multidisciplinary approach to create Terzani’s first LED suspension light.